When it comes to choosing a hair dryer there are a lot of different things that you are going to need to consider, one of those things being the brand that you choose and there are a lot of them to choose from. One of the most reputable brands in the United Kingdom is Bosch. Bosch are known for their electronics for the home and garden, but they also produce a range of grooming products too, including hair dryers. If you are looking for a new hair dryer and you are struggling to choose the right one, then take a look below. We have tested and reviewed some of the best Bosch hair dryers on the market to take some of the work out of your search. Overheat protection making use much safer. Long 1.8m power cord so no risk of tangles. 3 different heat settings for optimum results. This hair dryer is expensive in comparison to some of the others that we have reviewed. 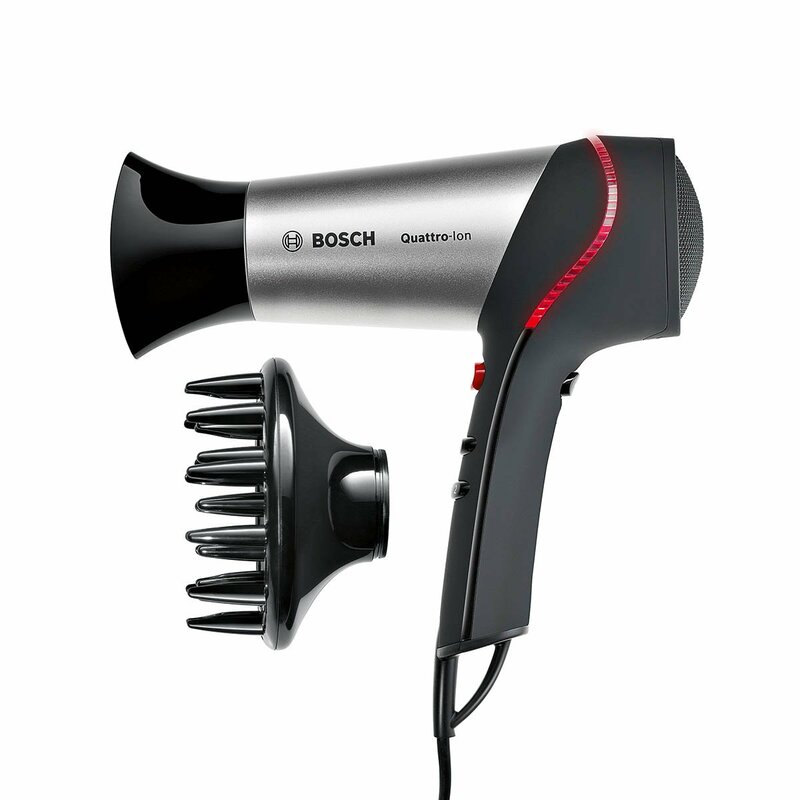 Number one on our list of the best Bosch hair dryers is the BrilliantCare Quattro-Ion. This was the first model that we tested and by far, the most impressive. When we initially took a look at the design, we weren’t really all that impressed. Admittedly, it does look a little basic at first glance. However, after we had a thorough look over the design, it was clear to see that this hair dryer has been made from very high quality materials. Upon first use, we tried out the lowest speed and heat settings and we were actually surprised by how effective they were. The good thing about this hair dryer is that if you want to dry your hair quickly you can do so easily with the higher settings. There is a handy cool shot function which allows you to set your style whilst you are drying your hair which we found to be highly effective. Alongside this there is the extra nozzle which comes with the hair dryer which again, we really liked. Overall, we were very pleased with this Bosch hair dryer. Yes, it is a little more expensive but it is definitely worth the extra money. Nice lightweight design for extra comfort. 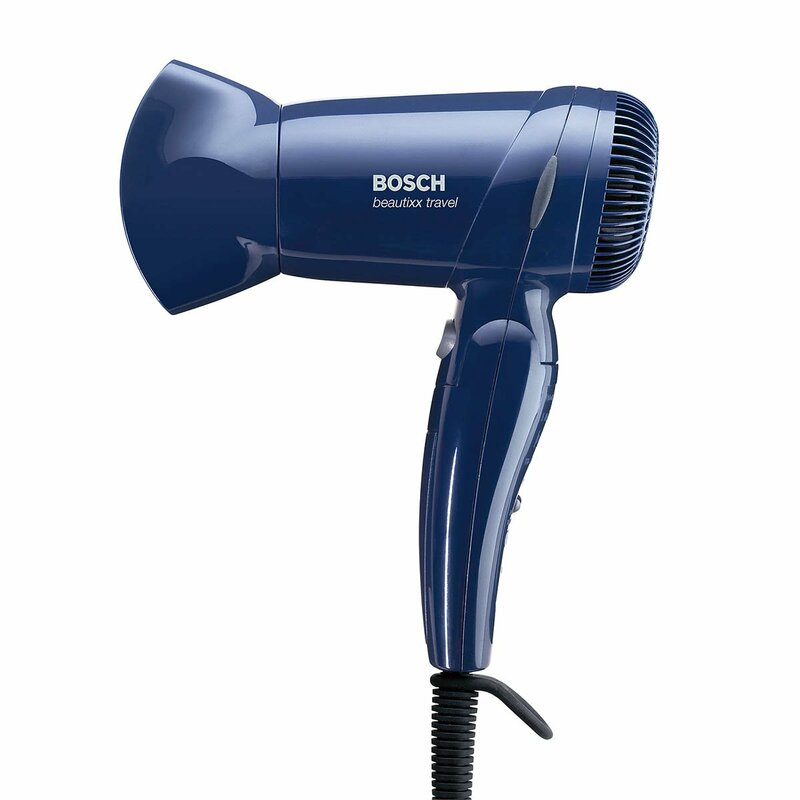 Next on our list of the best Bosch hair dryers is the Classic Coiffeur. The thing that really stood out for us with this model is the salon style design. It looks and feels great and it has definitely been made to last for a long time. When we first tried out this hair dryer, we were pleasantly surprised by the noise levels. We expected it to be a lot louder, but it was actually quite quiet for a hair dryer that has such a powerful motor. There are three speed settings and three heat settings to achieving your desired style is no problem at all. Another feature that we liked is the hanging hook at the top of the cable. This makes storing the hair dryer out of the way much easier. Again, this is an expensive hair dryer, but it is definitely worth the money and comes highly recommended from us. 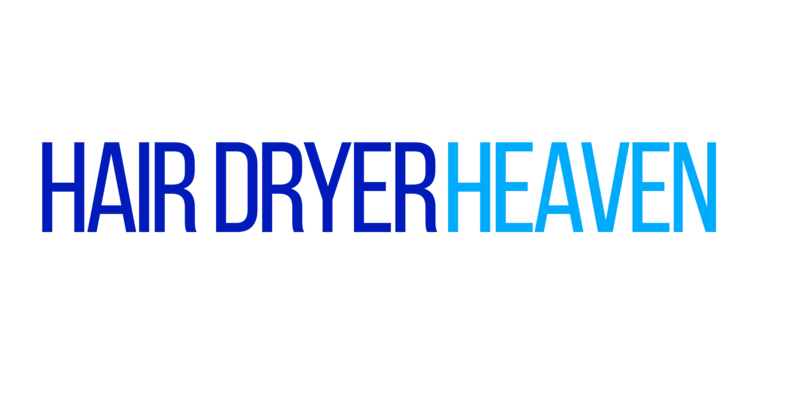 Overheat protection makes using the hair dryer safer. There is no cool shot function with this hair dryer. There are only 2 heat settings. It is a very basic design. 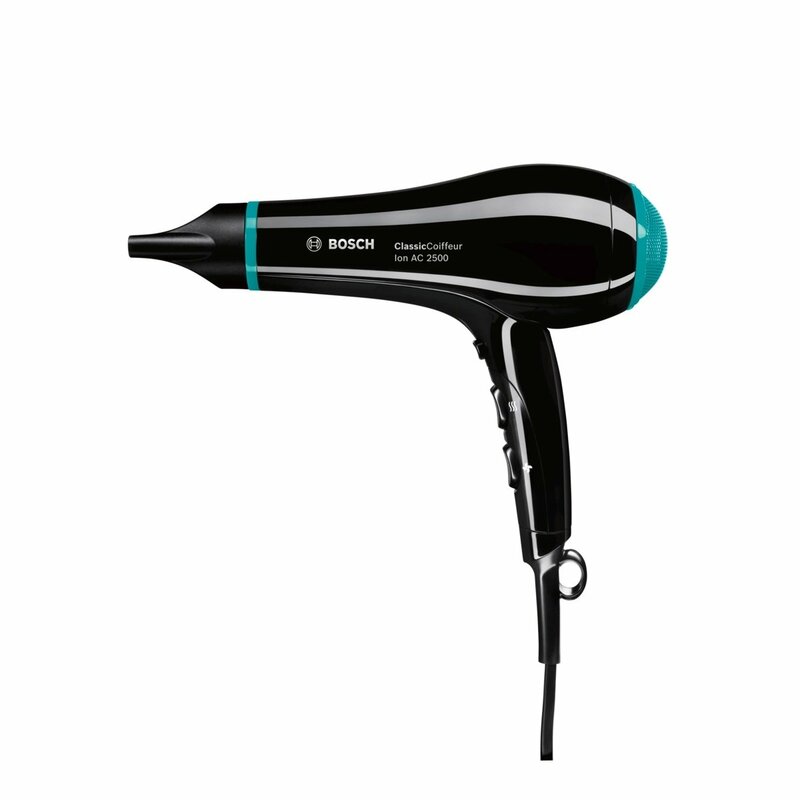 Last on our list of the best Bosch hair dryers is the Bosch PHD 1100. This is a great simply design that is suitable for those who only require it on a semi-regular basis. It is very easy to use, lightweight and fairly powerful considering it only has a 1200w motor. There were, however a couple of drawbacks that are worth noting. First of all, as we have already mentioned, this is a basic hair dryer. It only has 2 heat settings and 2 speed settings which can be a little limiting. As well as this, there isn’t a cool shot function which is a shame. Although there are these drawbacks, this is a great hair dryer from Bosch if you are looking for something basic. Hopefully you now have a much better idea of the best Bosch hair dryers on the market right now and you will be able to choose what you think is the best option for you personally. Any of these three would be a great choice.